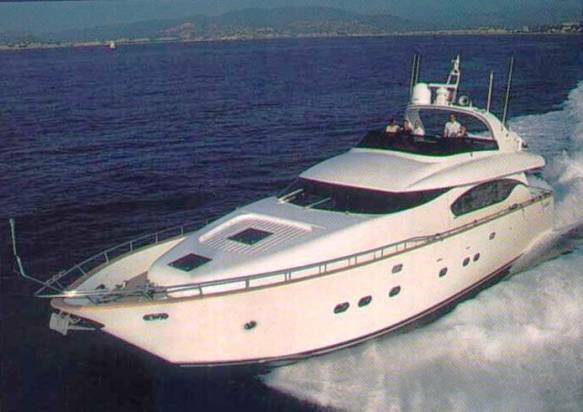 The Maiora 23 charter motor yacht based in Amalfi offers style and elegance. 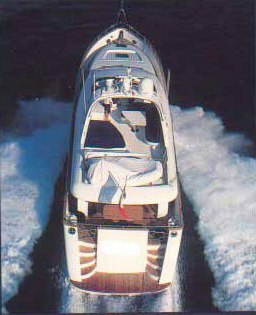 Born from a combination of fine design and traditional, simplistic interior, this flybridge charter yacht is the ideal boat for enjoying the stunning Amalfi Coast. 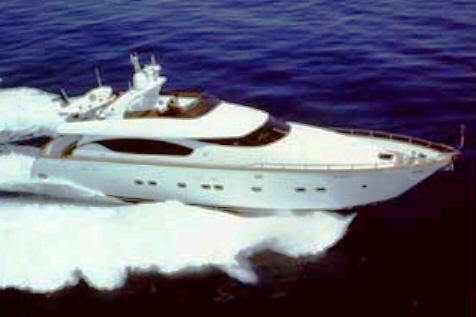 These yachts are appreciated worldwide for their harmonious lines and comfortable cruising. 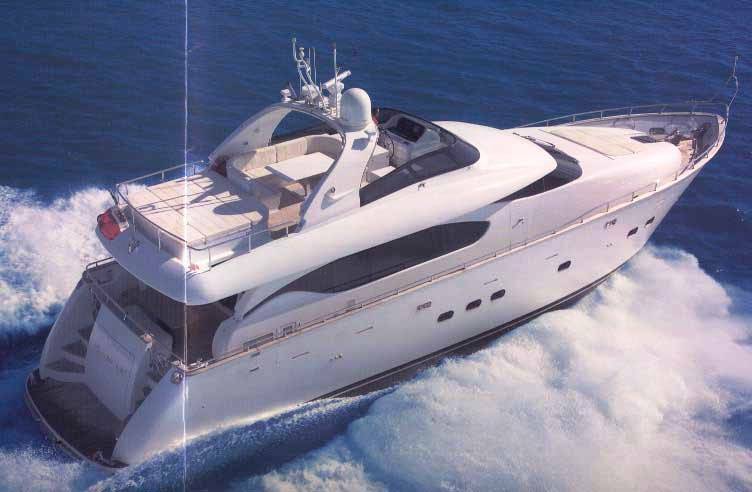 This Amalfi based flybridge motor yacht has a stylish interior which comfortably accomodates up to 6 guests in 3 double cabins with ensuite facilities: one Master stateroom, one VIP stateroom and one Twin. 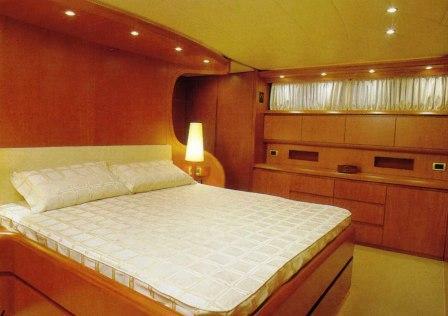 Max 7 guests + crew Crew's quarter for 2 people with own facilities and private access Wide Owner's cabin with double bed, walking-in wardrobe and private bathroom with shower box and bidet. VIP guests' cabin with double bed and private bathroom with shower box. 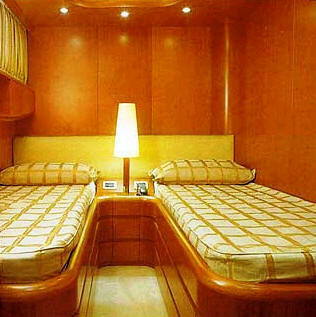 Twin guests's cabin with eventual third berth and bathroom with shower box. 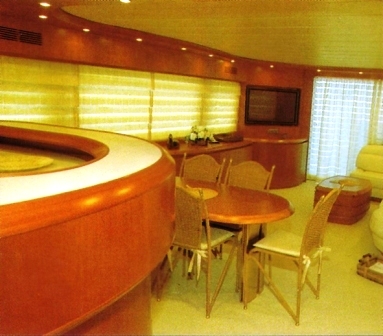 Well equipped galley, dinette in the pilot area, comfortable saloon with leather sofas and dining table for 10 people. 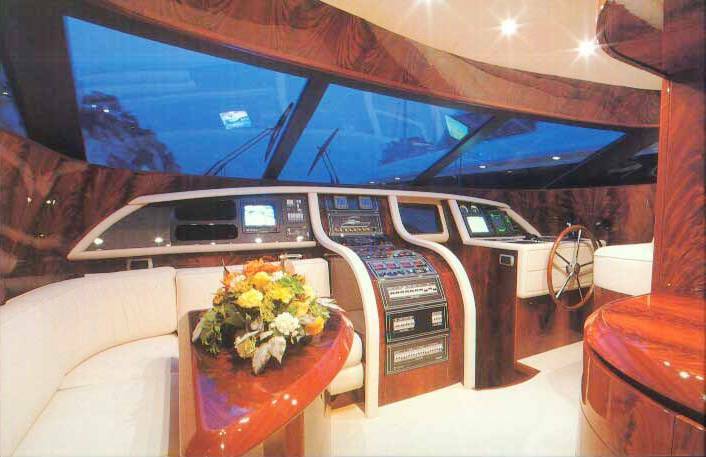 This crewed charter yacht offers full navigational equipment including GPS, Plotter, VHF, Rada and Autopilot. 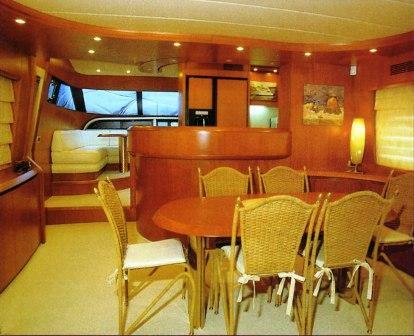 ENTERTAINMENT FACILITIES include a Tender Zodiac 3.60m/90hp, Water skis, Sat TV + DVD, stereo CD. 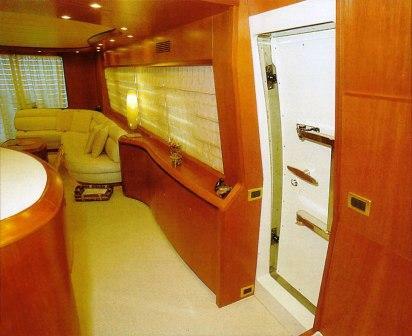 OTHER facilties include an icemaker, Barbecue, inverter, generator and full air-conditioning throughout.